Four years ago in Austin, 14,000 domestic animals were being euthanized every year. Today, Austin leads the entire nation, having reached the goal of 90% no kill. The eyes of the nation watch our local non-profit, Austin Pets Alive, as they trailblaze with innovative methods and ideas, championing for animals that were destined to die. Ellen came up with an idea for a hands-on, in-take shelter that rescued animals from the city’s euthanasia list. 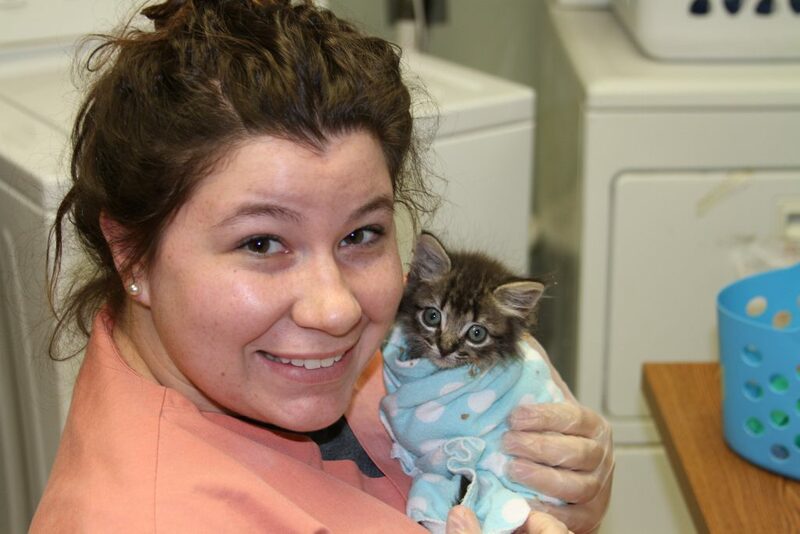 It would provide foster programs, adoption programs and much more, in addition to spaying and neutering services. It was a huge vision, with no capital to back it up. Ellen shared her idea everywhere she went. 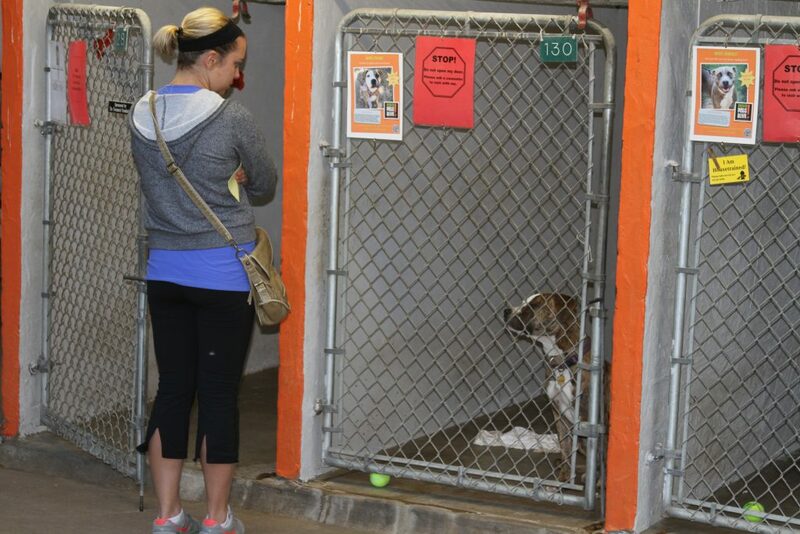 Ultimately, she found a partner in the already existing organization, Austin Pets Alive. At the time, Austin Pets Alive had been an advocacy group for over a decade. “They already had a board of directors, were established as a 501(c)3 and had a good history in the community. It was a good match. I used an e-mail list that Austin Pets Alive had built over time, and volunteers came out of the woodwork. Austin Pets Alive fought hard to move into the city’s abandoned animal shelter on Caesar Chavez. Though it’s far better than the facility they had before, the organization still faces uncertainty. 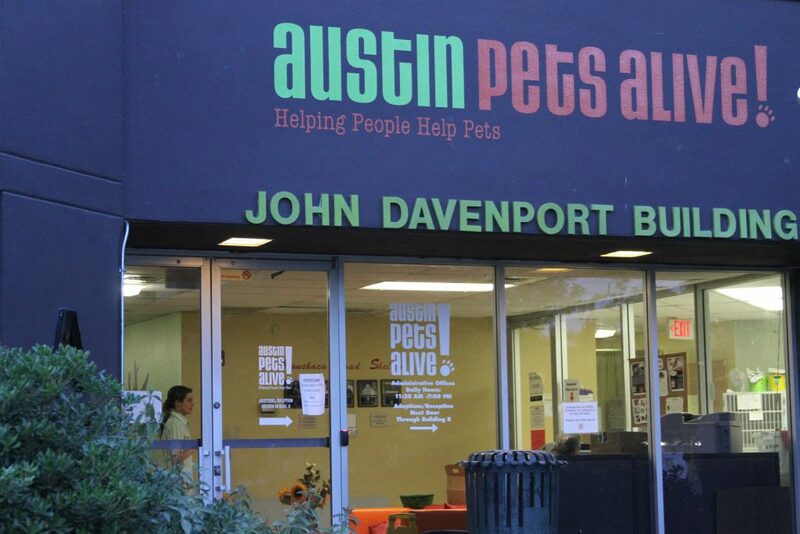 Austin’s city government wants to tear down the buildings that Austin Pets Alive calls home. Their lease expires on June 1, 2015, but they have no capital for a new building campaign. Though two and a half years may sound far off, there are challenges facing Austin Pets Alive that are more immediate than that. By the end of October 2013, Austin Pets Alive must update many of their existing kennels to comply with regulations, or they will be closed. At the same time, their lease doesn’t allow them to make “any major changes.” If that weren’t enough, Austin Pets Alive is losing their city funding this month, November 2012. 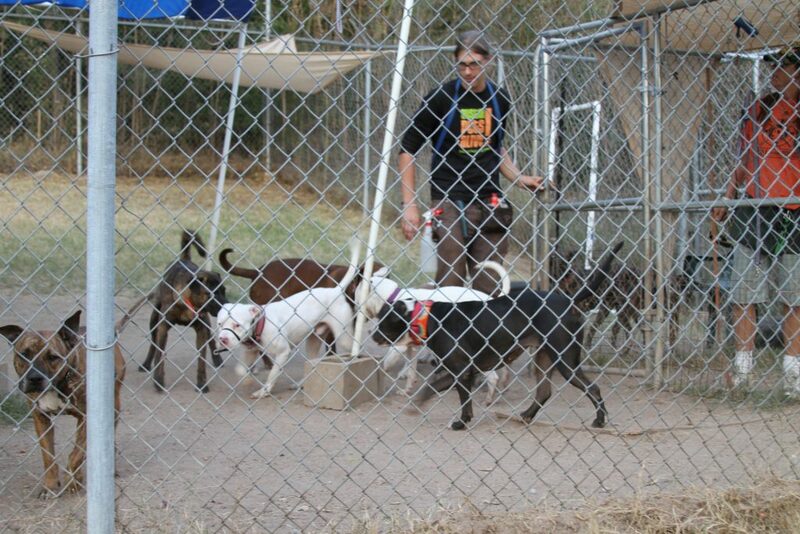 The “Jog a Dog” program represents another way that Austin Pets Alive is leading with innovative methods. With this program, Austin Pets Alive has partnered with Team Spiridon, Hill Country Running Co. and Firecracker Dog to encourage runners to take shelter dogs out for fresh air and exercise. Not everyone can adopt a pet, but anyone can take the initiative to help animals while getting their regular exercise on Town Lake. Everyone can help. There are needs ranging from large-scale funding down to a bag of kitty litter. Take a look at the following list and find out how you can do your part to keep Austin Pets Alive running for years to come. Long term homes: Austin Pets Alive’s #1 goal is to provide quality, long-term homes for the animals they shelter. Adoptions are always the priority. If you’re looking for a family companion or friend, it’s possible to walk in and out on the same day with a healthy and happy playmate after an hour’s investment. Email adopt@austinpetsalive.com for more information. 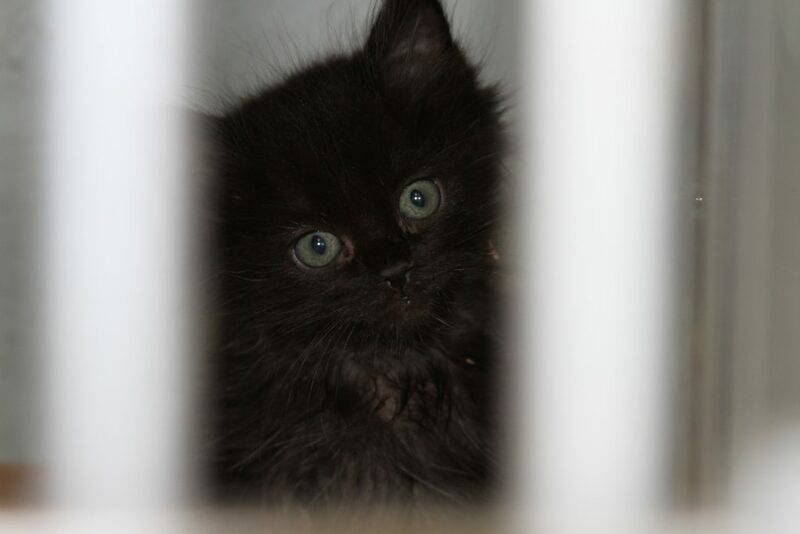 Funding: Austin Pets Alive is losing their city funding this month. Without this funding, their mission will be critically impaired. If you have a heart for animals, there’s no better place to share your resources here in Austin – heck, maybe in the country! Everyday items: Kitty food and puppy food are always needed. Kitten milk, cat litter (clumping Tidy Cat preferred), towels and blankets. If you can help with any of these items, please don’t hesitate! Volunteer: They are always in need of volunteers at Austin Pets Alive. For more informatio, email volunteer@austinpetsalive.com. Sponsor for Baby Bottle Program: Austin has the leading baby bottle program in the nation at Austin Pets Alive. People all over the country are watching and wanting to pattern themselves after the program here. $250,000 annually would support the entire Baby Bottle Program, providing staff, milk, the development of an intern program and more. This is currently a primary need because of the amount of eyes watching this program. A sponsor for this program would have an impact on animals across the nation. Refurbish gates: The gates to the kennels need to be refurbished, or Austin Pets Alive is going to lose the use of them. This upgrade will cost around $100,000. Vans for offsite adoptions: Austin Pets Alive needs more vans to safely transport animals to offsite adoption locations. Each van costs approximately $25,000. These vans must have air conditioning in the back portion of the van, due to the extreme temperatures we face here in Texas. If you can help with any of these large scale needs, please use our contact form on the Austinot and we’ll put you directly in touch with Ellen Jefferson. No matter who you are, what your resources are or what you have to give, Austin Pets Alive is thankful for each and every donation. It is so wonderful to have this amazing organization as part of our city. Please share this post with your friends via Facebook, Twitter, Pinterest or whatever. Let’s get the word out and keep Austin Pets Alive! 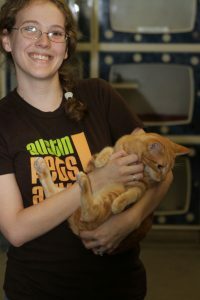 What are your thoughts on Austin Pets Alive?